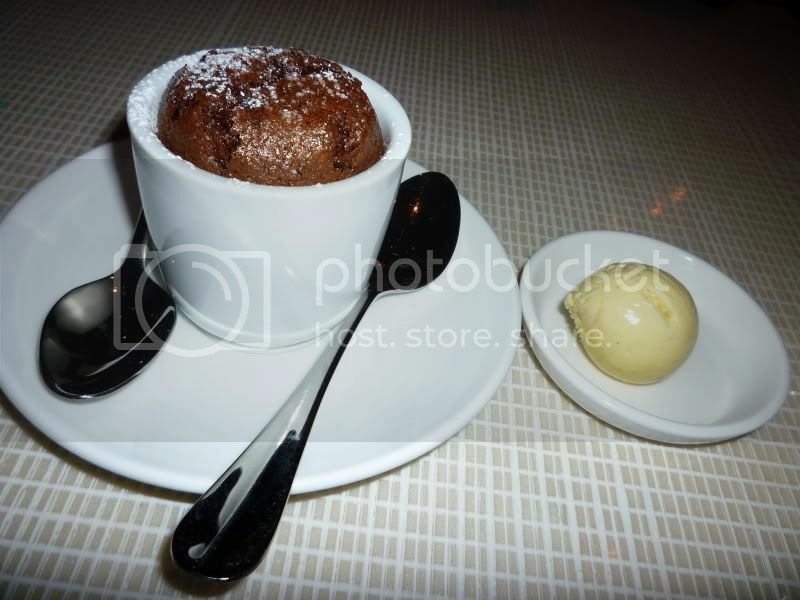 New York Part 2 - Shut up and eat. Woke up the next day groggy and confused in a bed that wasn’t mine, and in a room that wasn’t mine. I rubed the sleep from my eyes and we made our way up to Columbus Circle to the Time Warner building for some mall shopping and Whole Foods whoring. 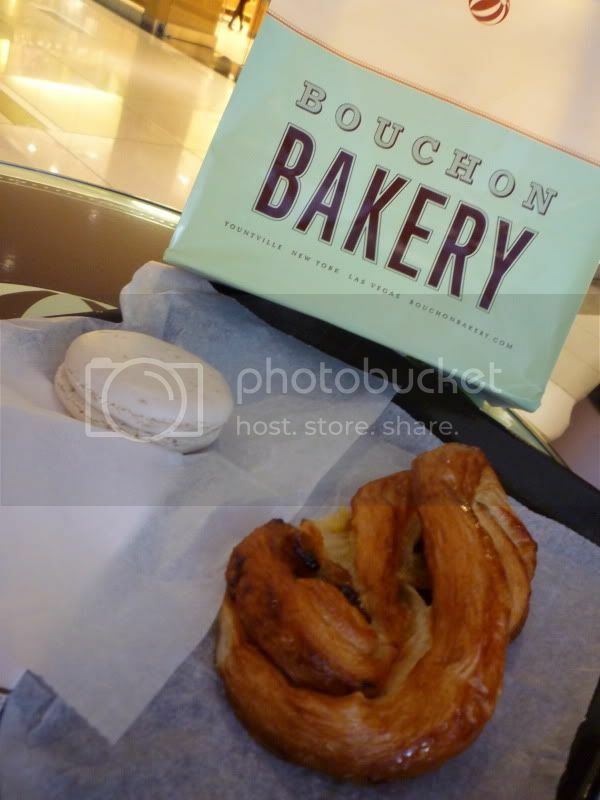 We hit up Bouchon Bakery by the famed Thomas Keller. I was immediately woken up by the sights of the pastries and goodies that were waiting to get into my stomach…what’s a bakery without pressing your nose up against the glass of the display case? After I was asked nicely to stop licking the counter and sniffing the counter girl, I ordered some break fast. I started my day with a ham and cheese coissant. You would think that coming from a land of relative French ancestry, our croissants would be pretty hard to beat. Nay. 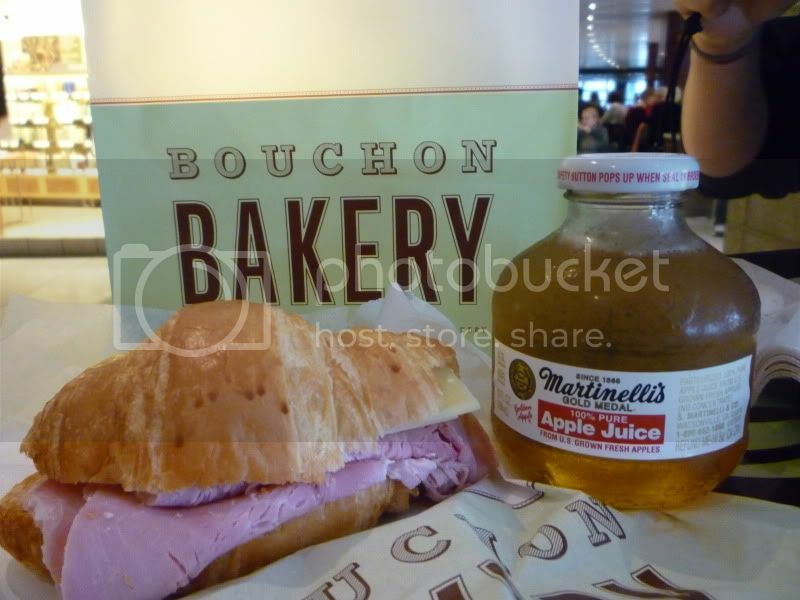 I had the thickest and flakiest coissant ever, filled with Emmenthaler cheese and thick slices of Madrange ham, and washed it down with a fat apple juice… of which we need a distributor here in Canada. 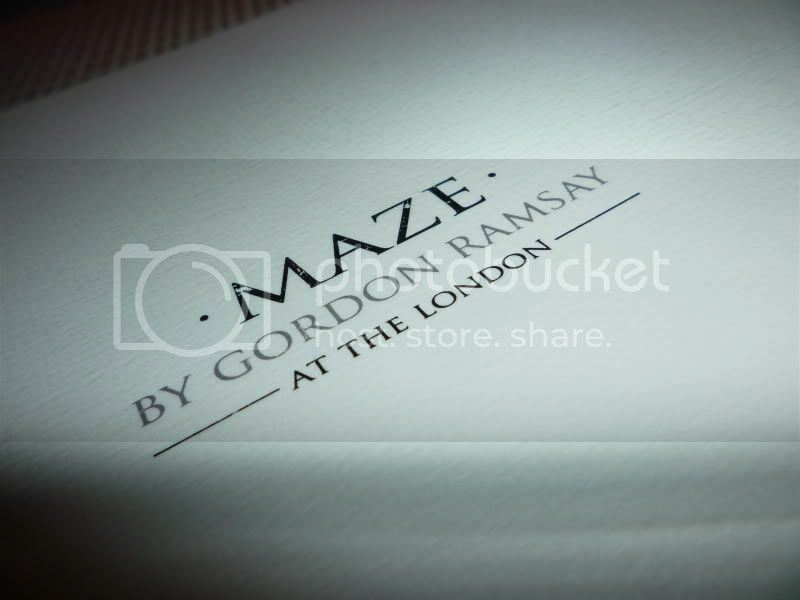 We made our way back towards the hotel later in the afternoon and stopped by at the salad bar to refuel on a light lunch as we were putting ourselves through a gastronomic blackout in preparation of MAZE by Gordon Ramsay at the LONDON in NEW YORK. We split a few appetizers and ordered an entree each. 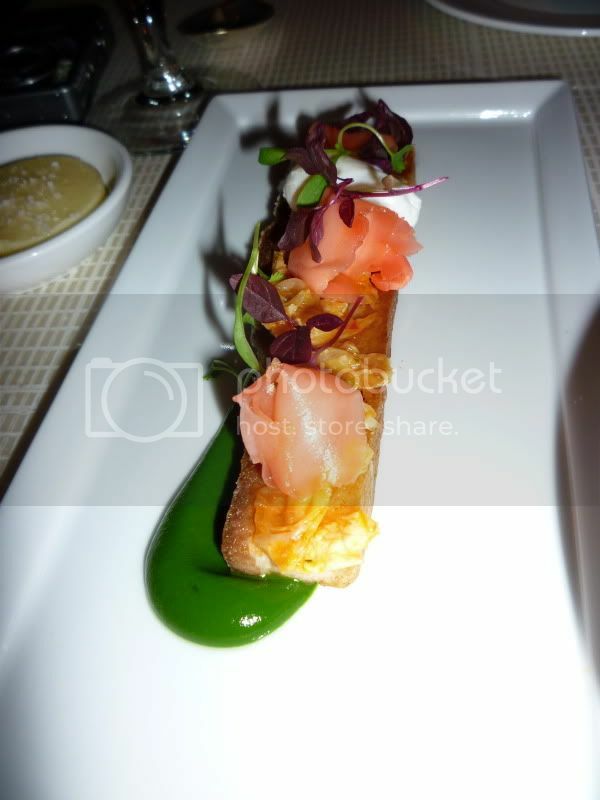 We were told that it was popular to order a few of the starters to make a meal out of them as they were small dishes comparable to tapas. I wasn’t really sure what I was up against, as the many seasons of Hell’s Kitchen and Kitchen Nightmares (U.S. and British versions) resonated in my head. 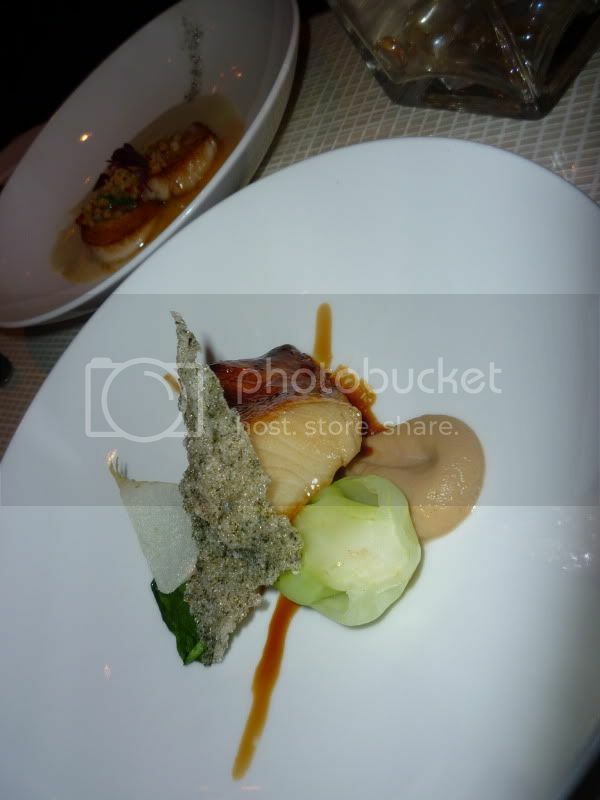 Yuzu marinated black cod with cauliflower puree and nori chip, blanched shanghai bok choy and pearl onion. Braised pork belly with home made kim chi, pickled ginger and quail egg with a parsley and basil sauce. 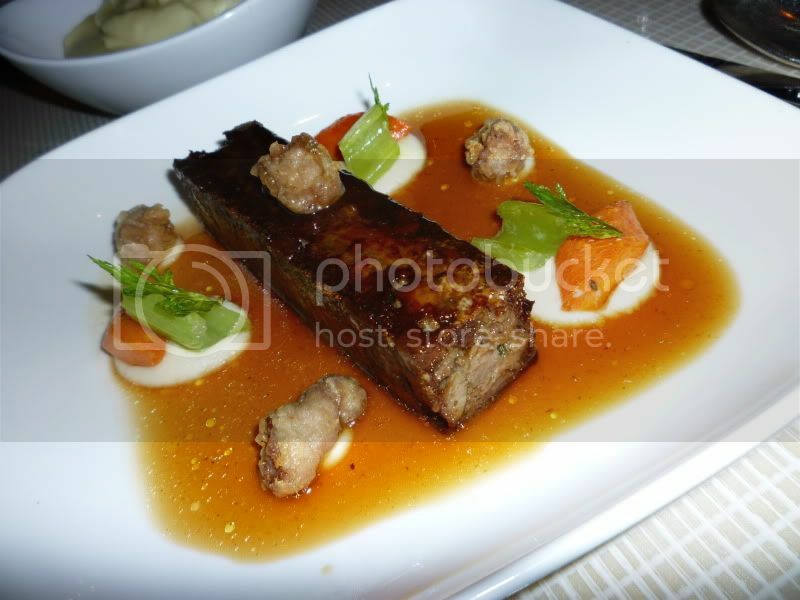 Braised lamb shank with confit kidneys, fried sweetbreads, candied root vegetables, puree potatoes au jus. If you know me, you’d know that the absolute two things that I *HATE* with a Miley Cyrus passion is COOKED carrots and COOKED celery. 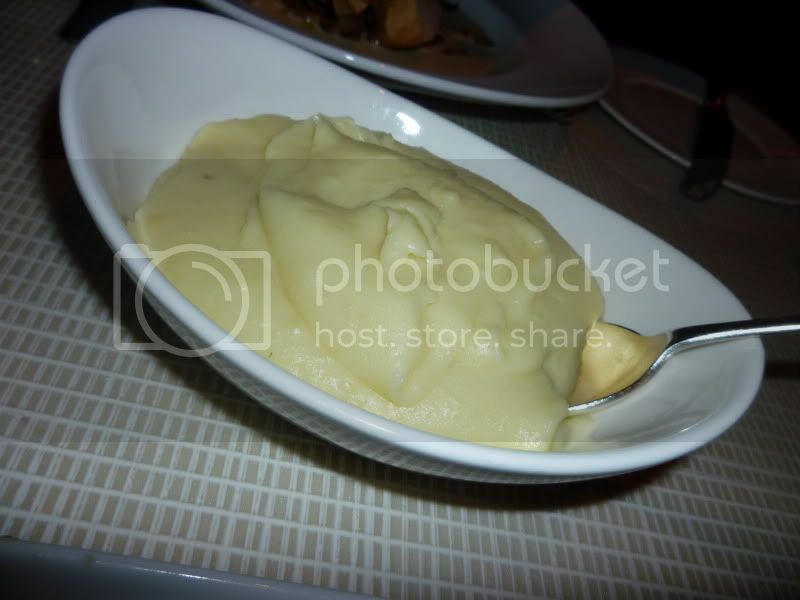 To my horror, what were these said “root vegetables” the menu was talking about? But roasted and candied in a way that I’ve never had before, these tiny morsels were delectable and delicious… now if everyone can prepare them like this. 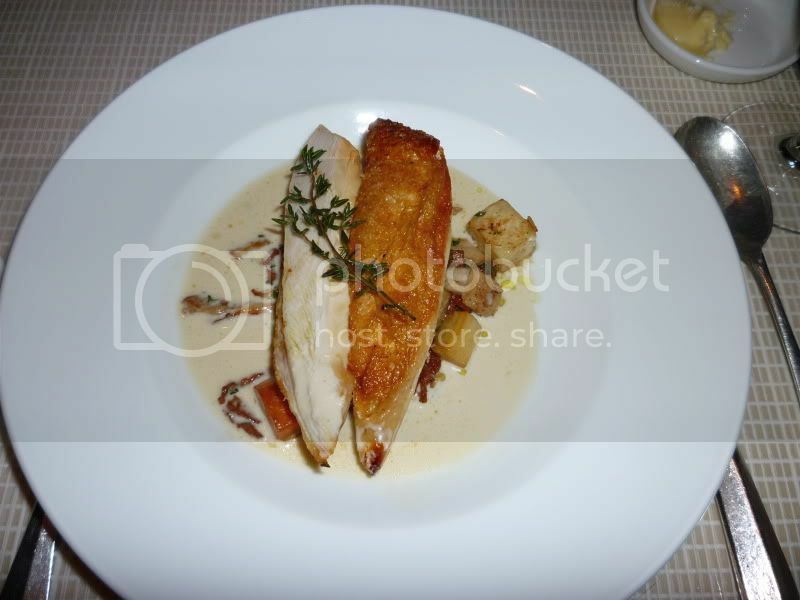 Roasted baby chicken and potatoes with a fennel bechamel sauce. 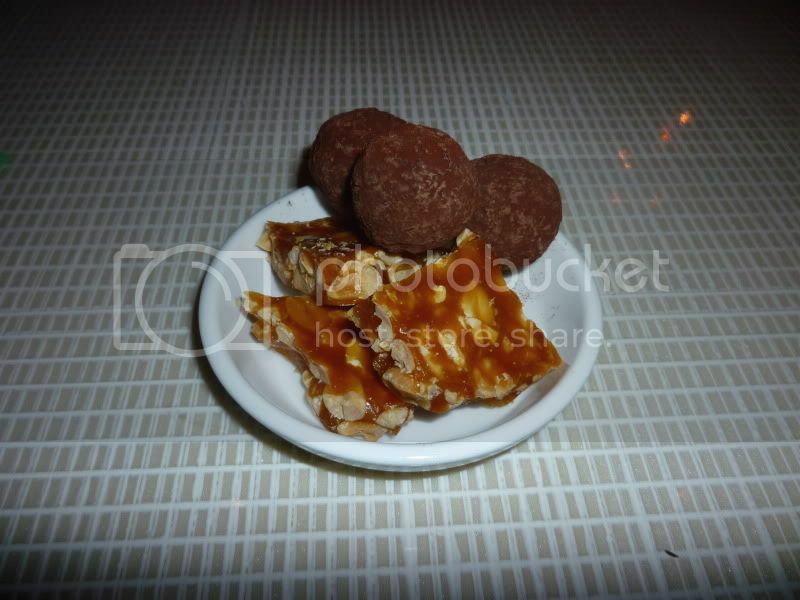 Chocolate truffles and peanut brittle. If Chef Ramsay is going to put his name on something, I didn’t expect it to be anything less than perfect; execution was spot on and service was impeccable. Given, this place isn’t one of those “everyday” places, it’s still something everyone should try at least once.